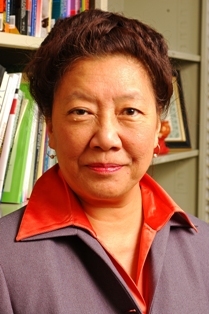 Prof. Wong: My journey in Teaching English to Speakers of Other Languages (TESOL) began in Hong Kong in the early 1970s. I am a 5th generation Chinese American. My ancestors emigrated from China to work in the gold mines and railroads in California in the 1850s. I grew up in Los Angeles outside of a Chinese speaking community. When I was a college student I became involved in the Asian American student movement and I volunteered to teach an Art workshop in Los Angeles Chinatown to work with Chinese immigrant youth. It was there that I realized that I needed to improve my Chinese to be an effective community organizer. My Cantonese was limited to simple phrases such as, “Is this yours? Very pretty.” So after graduating from college I went to Hong Kong to learn Cantonese and learn about my Chinese cultural roots and heritage. It was there that I first got involved in English language teaching at a Catholic girl’s school. Because I was myself a student of Cantonese, from the beginning, becoming an English language educator involved learning about China and immersing myself in Chinese language and culture with a view of bridging communities in Asia with Asian American communities in the U.S. For me, learning to teach was a dialogic experience of apprenticeship in which local Chinese teachers were mentors and guides and my own “hyphenated” identity” as a Chinese American was transformed. Ana Wu: You are the 2007-2010 TESOL President Elect. What would you like to see the NNEST Caucus members do or initiate? Prof. Wong: I have had the great honor to serve on the Executive Committee of TESOL with Past President Jun Liu and President Sandy Briggs. Jun Liu is the very first President of TESOL from Asia and the very first NNEST president of TESOL. He is clearly a pioneer, a leader of the NNEST Caucus who has done so much during his presidency to create awareness of the contributions of Non-Native English Speaking Professionals in the field of TESOL. I hope to continue to build on his work (Liu, 1999) and the work of our President, Sandy Briggs, who has also been very interested in promoting awareness of NNEST issues. She began her career as a Spanish teacher and as a non-native speaker of Spanish became an accomplished author of Spanish and English language textbooks (Briggs, 2007). I hope to follow in their footsteps in supporting and encouraging greater participation and leadership from NNEST Caucus members throughout our association. The NNEST has done an outstanding job of recruiting and mentoring new members. I would like to see those from the NNEST Caucus continue to reach out and recruit new members to TESOL and mentor their involvement in presentations and publications and serving in various committees, affiliates and interest sections in TESOL. I would also like to see NNEST Caucus members continue their efforts with other Caucuses to create awareness of the importance of inclusiveness and equity in employment practices. Finally, I would like to see NNEST members continue to challenge us to address social and political dimensions of English Language Teaching, and be more inclusive as an association and profession. Ana Wu: We quite often hear from international students in graduate programs of applied linguistics or TESOL confide that they do not receive substantial feedback on their teacher training, or that their professors, in the lack of sufficient internship offers, give opportunities to native speakers. There are still a large number of programs which do not include in their curriculum the discussion of NNES issues or World Englishes. What can TESOL do? What would you suggest graduate students in these situations do? Prof. Wong: I had the great privilege of teaching at the Ohio State University where Dr. Keiko Samimy developed one of the first courses in NNEST at a North American university (Brutt-Griffler & Samimy, 1999). In my view, Dr. Samimy’s course was very important to a major paradigm shift that is still occurring in our field. First, it brought forth visibility of NNEST as professionals, and provided a stimulus for the production of new theoretical contributions with respect to language and power. It also provided a space for support and encouragement to voices which had not traditionally been published in the academy and provided a model of scholarship of teaching through reflecting on one’s own practice. Finally, it provided a support group for graduate students—a sounding board for collective expression of new models of professional identity—challenging the hegemony of the native-speaker as the best (and only) model. If one is at a university where there is not yet a course offered on NNEST, perhaps the first step is to become more active in the NNEST caucus. I would also suggest that graduate students become actively involved in NNEST activities by participating in on-line discussions organized by the NNEST caucus or organize a study group among themselves to read and discuss books and articles about NNEST. They can then pose questions online to get other members’ opinions. The key is to be connected to other NNES students and/or professionals. As faculty, we need to do a better job in mentoring NNES students and making sure that programs that have traditionally had very few NNES students made accommodations. The problem of scarcity of internships is an institutional program and in the long run faculty may make the best contribution through advocacy for bilingual and multilingual programs and through grants writing to develop more bilingual and Foreign and Second Language Education Programs. It would be great if more opportunities were given to international students while still maintaining some internships for native speakers of English. By so doing, the nonnative students have more opportunities to both hone their English skills and apply what they have been taught into practice. I would also suggest that NNEST graduate students in TESOL/Applied Linguistics programs seek opportunities for internships in their native languages where possible (i.e. heritage language programs) and observe ESL classrooms or be volunteers to teach English in some settings if they can not be provided with opportunities of internship. Ana Wu: You have extensively written articles on Asian women faculty in the teaching profession, minority students, multiculturalism, and language acquisition. What do you think of the NS-NNS dichotomy? It is time for us to reshape pedagogy and linguistic theories to address the concerns of those who enjoy (or those who desire to develop) hybrid proficiencies and identities as we all do. The time to be defensive, apologetic, and even confrontational is gone. There are no more battles to be fought. There is the serious task of living up to our responsibility of making knowledge that is relevant to the majority of people in the world—multilinguals. Perhaps that’s the label we have to start using—not nonnative speakers of English but multilingual speakers of English. Suresh Canagarajah’s argument for a new label “multilingual speakers of English” is eloquent and his points well taken, especially if our audience is the multilingual speakers of English who are the majority of English speakers in the world.However, at the risk of essentializing, in my view conceptually the NS-NNS dichotomy still has some merit and pedagogical value, especially within the U.S. context where the majority of the teaching force is monolingual and where English-only perspectives are still pervasive.In the context of U.S. education a great deal of work needs to be done to critique deeply held beliefs that native speakers are the best linguistic models and best teachers. Helping school administrators develop more of an appreciation for what it takes to learn another language is a process. It is important to address in concrete ways how teachers who are native speakers of English and monolingual can learn from their bilingual and multilingual colleagues who are non-native speakers of English and the value of collaborating as professionals and promoting the contributions of students and colleagues from multilingual backgrounds. We need to create more awareness among our monolingual colleagues and especially school leadership, about the value of teaching English as an additional language, rather than replacing the home language with English. We also need to educate around issues of accent discrimination, not only in education but in employment in all fields (Matsuda, 1991). Ana Wu: In order to learn about your cultural roots, you began your teaching career in Hong Kong where you went as a Chinese American to work in a middle school. How was your experience? How did that experience change you as a monolingual language educator? Prof. Wong:I was offered a position at Tak Nga Middle School, a Catholic girl’s school in Kowloon, as a teacher of English language and literature. My only credentials were that I had graduated from a U.S. university and I was a native speaker of English. Being a native-speaker didn’t help me answer my students’ questions. I frantically read A Midsummer Night’s Dream one scene ahead of my students and relied, as they did, on Cliff notes. When the students asked me the difference between the “simple past tense” and “the present perfect”, I had no idea. As a novice teacher, I depended on my Chinese colleagues at the school and my friends—tutors at the Chinese University of Hong Kong—to interpret my students’ second language writing. My friends’ knowledge of Chinese enabled them to understand what my students wanted to express, for example when student writers translated Chinese idioms literally into English. My friends and colleagues clued me in on how to correct what was a new genre for me—the précis, a brief summary of an article. The educational system in Hong Kong was like a pyramid, with many students at the bottom and few at the top. Each year students were evaluated and weeded out so that only the best graduated. Tak Nga Middle School’s good reputation was based on a moderately successful pass rate of its students for the British school leaving exams; only its best students were allowed to continue from Form 1 all the way to Form 5. In the 1970’s, Hong Kong had only two universities. Admission, which was based on examination scores, was extremely competitive. Examinations also played a critical role in determining prospects for employment in a colonial economy. Students with better scores in English would be hired for white-collar jobs as clerks, as opposed to factory jobs in electronics. But there were also harsh consequences to the weeding out process. During my first year of teaching at Tak Nga Middle School, there was a Form 2 girl who failed the examination which would allow her to continue to Form 3 and who was therefore asked to leave the school.She committed suicide. The experience of beginning to teach English under British colonialism shaped my view of education in profound ways. I came to understand that education could be literally a matter of life and death. The Form 2 student’s suicide caused me to look at the problem of examinations, language teaching and power. The girl’s suicide raised questions for me: What did it mean to be a good ESOL teacher in the context of the examination system? How might one teach not just to but beyond the test? Ana Wu: As someone who lived, studied and worked abroad, what advice would you give to international graduate students or new instructors who want to have a fulfilling teaching career in an English spoken country? Prof. Wong:Learning to teach is a dialogic process involving learning in community. Each teacher-student brings his or her own valuable cultural and linguistic heritages, experiences and gifts. Sharing those gifts, developing those gifts and using those gifts will enable one to have a fulfilling teaching career. Learn from your students, their families and communities. Keep a journal or diary of your experiences. (Rivers, 1983) Record your shifting feelings and struggles with language and culture. Seek opportunities for professional development through collaboration (Bailey, Curtis & Nunan, 2001). Form study groups and support groups and volunteer with social justice and immigrant rights organizations and professional associations such as TESOL. Try to find a mentor. Communities are forged through investment. Be active in cross-cultural learning by consciously seeking out critical perspectives and face to face involvement with diverse communities. Always remember that you are both teacher and learner: As a teacher you become an active learner and as a learner you will excel as a teacher. Prof.Wong would like to thank Sandy Briggs, Ya Ling Wang and Keiko Samimy who shared their insights and gave her suggestions as she wrote this piece. Bailey, K.M., Curtis, A., & Nunan, D. (2001). Pursuing professional development: The self as a source. Boston, MA: Heinle & Heinle. Brutt-Griffler, J. & Samimy, K.K. (1999). Revisiting the colonial in the postcolonial: Critical praxis for nonnative-speaking teachers in a TESOL Program. TESOL Quarterly 33(3), 413-31. Liu, J. (1999) Non-Native-English-Speaking Professionals in TESOL. TESOL Quarterly 33(1), 85-102. Matsuda, M. (1991) Voices of America: Accent anti-discrimination law, and a jurisprudence for the last reconstruction. Yale Law Journal, 100(5), 1329-1407. Rivers, W. M. (1983) Learning a sixth language: An adult learners’s daily diary. In Communicating naturally in a second language: Theory and practice in language teaching (pp. 169-189). Cambridge: Cambridge University Press. Wong, S. (2006) Dialogic approaches to TESOL: Where the ginkgo tree grows. Mahwah, NJ: Lawrence Erlbaum. Wu, A. (June, 2007) Interview with Athelstan Suresh Canagarajah. The NNEST Caucus Member of the Month blogsite. http://www.moussu.net/nnest/blog/2007/05/athelstan-suresh-canagarajah.html. This entry was posted in Uncategorized on August 28, 2007 by AWu.